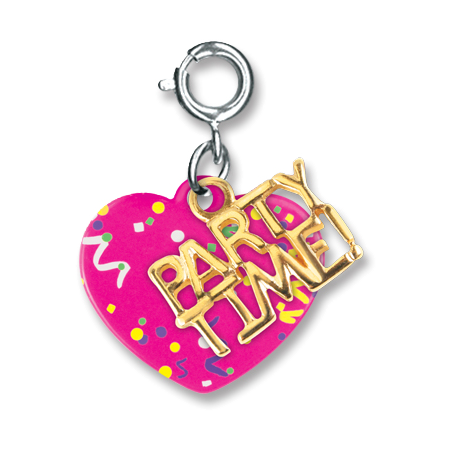 Whether you're celebrating a birthday, graduation, special accomplishment, or just because, this festive CHARM IT! Party Time! charm is the perfect way to commemorate the occasion. With PARTY TIME! 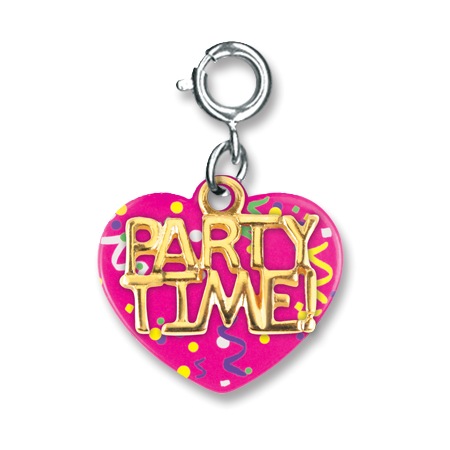 in shiny gold-toned letters over the top of a hot pink heart covered in colorful confetti, this celebratory charm is sure to delight the special girl of the hour. With a simple snap of a clasp, girls can personalize their CHARM IT! 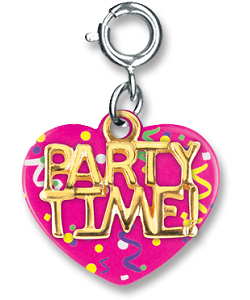 jewelry with this Party Time! charm. This colorful Birthday Girl Cupcake (Round) charm has a yummy looking cupcake and announces the "Birthday Girl" in a rainbow of colors. This colorful CHARM IT! Birthday Girl Cupcake charm has a shiny cupcake cutout topped with a pink enamel candle and yellow glittery enamel flame. P is for puppies, Pamela, Peggy, and so much more and you can create colorful personalized charm bracelets with this fun CHARM IT! Rainbow Letter p charm.